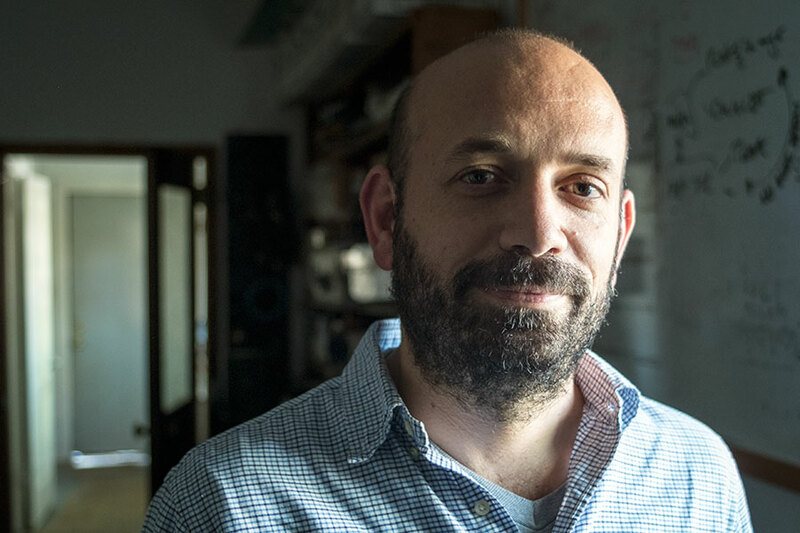 FSU's faculty filmmaker Antonio Méndez Esparza won the Independent Spirit John Cassavetes Award for his film “Life and Nothing More” at the 2018 Film Independent Spirit Awards in Santa Monica, California, March 3. Something very unexpected happened when Florida State University’s Antonio Méndez Esparza, a gifted and impassioned faculty filmmaker and teacher at the College of Motion Picture Arts, heard his film “Life and Nothing More” announced as a winner at the 2018 Film Independent Spirit Awards. Esparza didn’t expect that. He’d practiced a victory speech, albeit briefly, in his hotel room before the awards show in Santa Monica, California, even though winning seemed implausible. So, as he and film producer Pedro Hernandez Santos leaped up from their table, embraced in a giddy bear hug and bounced up the aisle onto the stage to accept the prestigious Independent Spirit John Cassavetes Award — given to the best feature film under $500,000 — Esparza had one thought. Esparza did not forget his talented cast members, all of whom were nonprofessional, first-time movie actors from Tallahassee, literally selected from the aisles of Walmart and other ordinary places around town. Esparza spent two years casting the film. He ultimately found the perfect group to breathe life into his story about the power of single mothers and the toxic impact of racism, economic disenfranchisement and the criminal justice system on African-American families, too often marginalized by society. Regina Williams, a mother, college student, restaurant worker — and now an actor — earned a Spirit Award nomination for Best Female Lead. Other lead roles were handled by high school student Andrew Bleechington, Regina’s son in the movie, and Robert Williams, who emerged as a potential father figure. They were novice actors, but Esparza’s skilled and patient direction helped them tap into and actuate dynamic instincts for acting. Esparza relied heavily on graduates of FSU’s film school for the movie project. The production crew was small, about 20 people, and more than half were film school alumni. Two colleagues at the College of Motion Picture Arts — Paul Cohen and Victor Nunez — contributed as executive producers, school leaders supported the project, and everyone at the college cheered them on. “Life and Nothing More” is Esparza’s second film. His first effort, “Aquí y Allá,” explored similar themes: complicated family relationships, economic obstacles and love. The film premiered at the Cannes Film Festival in 2012, won the Grand Prix award and proceeded to tour the world with invitations to more than 60 film festivals. Esparza’s creative momentum has been a tour de force ever since. Last year, he was awarded a prestigious Guggenheim Fellowship — one of 173 fellows in the class of 2017 — selected from an accomplished group of about 3,000 artists and scholars. Reb Braddock, dean of the College of Motion Picture Arts, praised Esparza’s positive influence on the film school and students. Now, fresh back from the Spirit Awards and his whirlwind weekend in Santa Monica, Esparza is working again at the film school but taking a moment to savor his life. And nothing more.